Madison bartenders face off to showcase their signature Bloody Mary recipes at the Edgewater Hotel with all proceeds benefiting the work of Great Lakes Hemophilia Foundation. In addition to sampling the best Bloody Marys in Madison, guests will enjoy appetizers and beer chasers while voting for the best bloody! Plus, there will be fantastic raffle prizes and a barrel-of-booze drawing. 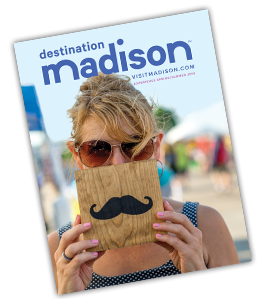 It’s no surprise that Madison’s Best Bloody is one of our most popular events.